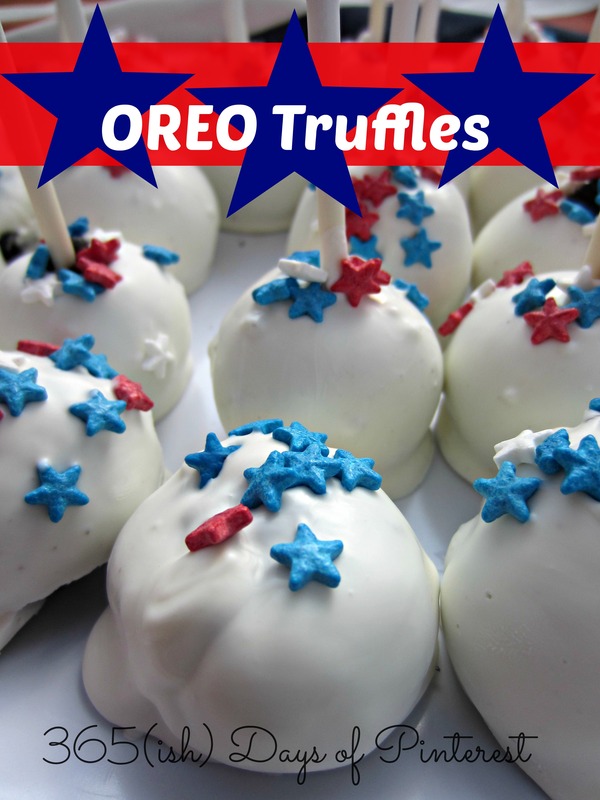 I made these pretty little OREO truffles for our family’s 4th of July celebration and they were tasty little mouthfuls of wonder. 🙂 I mean, really, can anything made with an OREO cookie taste bad? I went to JoAnne’s to buy lollipop sticks to make these easy to dip in chocolate and less messy to eat. While I was there, I discovered all sorts of fun dessert-making tools and even melting chocolate. Who knew? I rarely go into stores like JoAnne’s, Michaels, or Hobby Lobby because if left unattended, I might stay in there for 8 hours and spend a zillion dollars. I tried very hard and managed to leave with JUST the lollipop sticks I went in there to buy. Yay me! You MUST use a food processor for this. Place the cookies in the processor and pulse until crumbled completely. Then add the softened cream cheese in a few chunks. Pulse again until you get a smooth, sticky “dough.” Important: Place the dough in the refrigerator for at least 30 minutes. This makes it WAY easier to work with and will keep the sticks in place when you are dipping. After the dough has chilled, melt the chocolate (via microwave or double boiler.) Take a tablespoon or so of dough and roll it into a ball in the palms of your hands. Then put a stick in the center of the ball and dip it into the chocolate, completely covering the cookie filling. Sprinkle with your decorative sprinkles and let cool. Keep chilled in the refrigerator until ready to serve. I was out of wax paper AND parchment paper (how did I let that happen? ), so I used aluminum foil greased with butter to place the pops on while they were “setting.” Once the chocolate hardened, I put them on a plate and kept the plate in the refrigerator. If you don’t want to use lollipop sticks, you can always just dunk them completely in the chocolate and leave then as a true truffle. This is a little messy and harder to do, but also very pretty. Have fun making these your own! 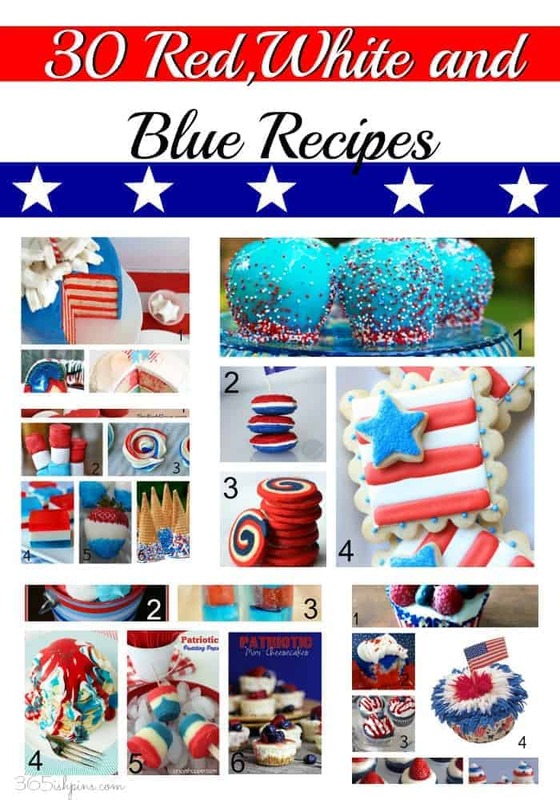 For more amazing red, white and blue recipes, click here! Thanks so much for the feature! I’ll stop by to grab a button when the party goes live! 🙂 And yes, they are a mess to make! That’s why I used the lollipop sticks for most of them! I was just stopping by to say thanks for the follow back on Bloglovin’; appreciate it :o) Hope you had a wonderful Monday and have a great night!